Debates are essentially polarised and noisy. But for resolution and movement in life we need to go beyond the absolute positions. In an ideal world there should be enough trust and confidence that once we begin to move ahead, there can be reviews, assessments and course correction. But this is difficult in the current scenario where the polluters, miners and dam builders wield more power than the rest. Institutions that would help resolve conflicts and take credible decisions have been weakened. Trust is lost and the worst defence plays out. However, it is also a fact that playing defensive is not working in the long run. Environmental movements are able to stall, but not stop environmentally disastrous projects. Worse, since no one is ready to go beyond her or his absolute position and discuss how a project would work if allowed, there is no improvement in the situation on the ground. All the energy is spent on blocking projects and once they are cleared the mission is lost. There is no emphasis—or even capacity in many cases—to look at the alternatives that would mitigate environmental damage. Take the number of clearances—forest, environment, coastal, wildlife—that are granted by the Central and state governments. The focus has been on the process of clearance; to give it or not. This is when government after government has granted clearances as if there is no tomorrow. The rules are so convoluted that they have become meaningless. The process is so complex that the same project has to be cleared by five to seven agencies, which have no interest in compliance of the conditions they would set. The system is so designed that we cannot invest in the improvement of the environment. It is a travesty of good management. Once the project is inevitably sanctioned activists and affected communities take the matter to court. The National Green Tribunal has provided another forum for such disputes. People’s action is understandable because they have little faith in the credibility of the decision-making system—the environmental impact assessment is flawed and public hearings are abused. But even going to court ends up stalling the project, not stopping or improving it. In this way when a dam, mine, power plant or a shopping mall is built, there is little focus on the conditions that would make it environmentally better, if not the best. At the time of sanction, a list of conditions is laid out for the project proponent. But the committee, which sets the conditions, has no real interest in their implementation. The project proponent knows that nobody will come checking after the clearance is granted. So, the game goes on. The community in the vicinity of the project is left to face the consequences. It can go to the highly understaffed regional offices of the environment ministry or the state pollution control board but usually does not have any real data or evidence. Even the state agencies have no real monitoring data. They have been so dismembered and weakened that they now depend on what companies tell them. 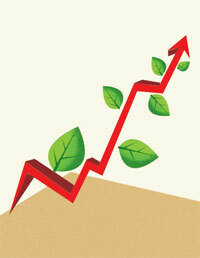 Industry self-reporting is the common practice in environmental management in India. We just don’t say it. The last resort of the activist or the affected community is to go to court. This process is not easy. Courts require hard evidence to show that a project is not adhering to environmental conditions. We need institutions that can collect data, analyse it, put it in public domain and use it to verify and improve environmental performance. Without this, even the action by India’s most well meaning and emphatic judiciary is in danger of failing. Even when the courts take tough action—say, in the case of mining in Ballary or sand mining in rivers or restaurants in upscale South Delhi—they manage to put only temporary stops. The court needs viable remediation plans but nobody is really interested in getting the management right. When a plan is presented and agreed upon, there is nobody to check implementation. So, as I said, the game goes on. It is time we called a spade a spade. We should demand investment in better technologies, approaches and conditions to reduce the environmental risk and then make sure this happens. This will need serious capacity in the regulatory agencies and in civil society. It is not easy. India—and countries like ours—will require new technical solutions and approaches to solve environmental problems. It is a fact that the already industrialised world had the luxury of money to develop technologies and to fund mitigation and governance, and they continue to spend heavily even today. We will never be able to catch up in this game. So, we need to build new practices of environmental management, which are affordable and sustainable. Wonderful article. Just want to connect this article with Present position of NGT in Delhi about banning 10 year old diesel vehicles. I am in Bangalore.I am only guessing a solution based on your article which says taking absolute positions don't work. 1. Is it possible to work on the engines of these vehicles to make it Road worthy? 2.Let the Vehicles Bring goods till the entry point. keep better vehicles to ferry them in to the City. Very relevant points! Thank you. The world we live in is not all "black or white" that too at the project granting stage. It is not a simple case of a project meeting a set criteria on a piece of paper; but how the project is actually established and also how it eventually operates - over time, that determines the actual environmental impact it has. An existing polluting project once coming into limelight is often forced to shut down - as you said leading to "temporary stops". What if the emphasis was on driving home the business case for pollution prevention? Pollution prevention pays - always. The pay back period for some measures can be high (3 to 5 years) but very often there are several measures that pay back within months and even immediately. In our effort to seek out the best solution, we often miss out on the better options. By pursuing smaller improvement steps (that make business sense) the environmental impact can easily be halved - better than not at all. Often the savings realised in the process drive the polluter to go further and invest in higher payback measures and appropriate technologies (not always the latest technologies!). The resource efficiency (or RECP) approach is a proven way to make pollution prevention palatable to polluters! Authorities and civil society need to show the ways to achieve lower pollution rather than offer only a choice between "consent to operate" and "shut down"
WOW!What a beautiful piece, Sunitha! Honest, straight, engaging and REAL. I do not have a background in environment but I do have a keen interest in protecting earth and climate. Very rightly said is that the builders/miners are dominating over the decision makers. Even the process, the approvals, the court side is all so complex. It's a bitter reality and we need to change it. In whichever way, I believe that whoever breathes in this environment, is responsible for maintaining it as well. With new techniques and environmental management, even new attitudes and genuine interest should come up. And come up soon. The solutions have to be factored into our programme planning process to include quality environment for today and tomorrow. The environment exclusion planning process has to be abandoned. This is an extremely thought provoking article which highlights our deficiencies in every account Ã”Ã‡Ã´ from planning of controversial projects, to activism against it, to subsequent deliberations spanning years in various forums, and mammoth losses during the entire process. The answer to our problem lies in the article itself: Ã”Ã‡Ã¿We will never be able to catch up in this game. So, we need to build new practices of environmental management, which are affordable and sustainable.Ã”Ã‡Ã– We are aping many practices (though relevant in modern era) which are unsustainable in Indian land and life. Our priorities should be to improve Ã”Ã‡Ã¿human development indexÃ”Ã‡Ã– rather than GDP. As one American Cynic put it,"You Indian Guys are better than Bill Gates in creating Windows". Energy demand will increase. We are not capable of handling / arranging nuclear power. Thermal power plants are most polluting, burning coal with any amount of care can never be environment friendly. Solar and other means of renewable energy are also like shouting slogans only. Can never take care of 1.25 billion people's energy requirement. Mitigating measures during implementation of hydro power projects are still easier, simple engineering, not very costly and cost of mitigation measures implemented can generate lot of employment. Lets cut minimum number of trees, completely avoid dumping of excavated soil / rock in to streams, river and hill slopes. Hydro Projects are victims of excessive environmetalism. although they are only clean, reliable and long term energy solution for India but they have been proved villain in the eyes of Judiciary, Public and even Government due to misconception spread by lobbyists.... Now Hydro Industry is almost finished.